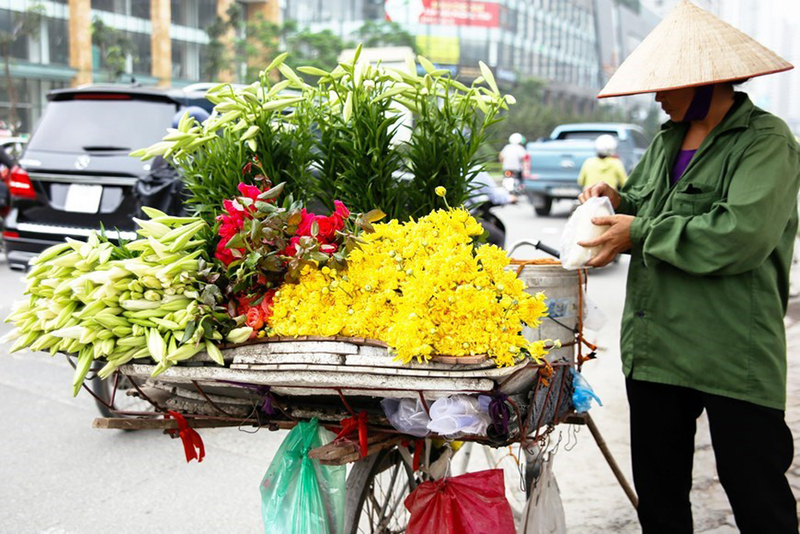 White lilies have become part of Hanoi in spring and the vendors peddling them around the city are now a very specific feature of April in the city. 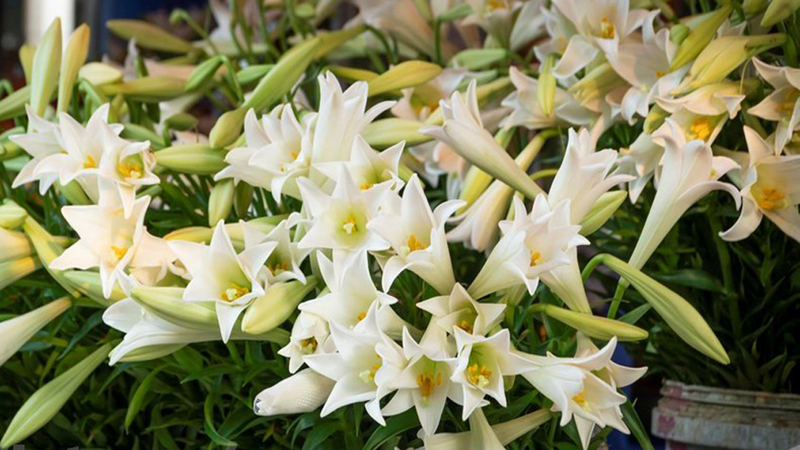 The snow-white color of lilies announces the arrival of April. 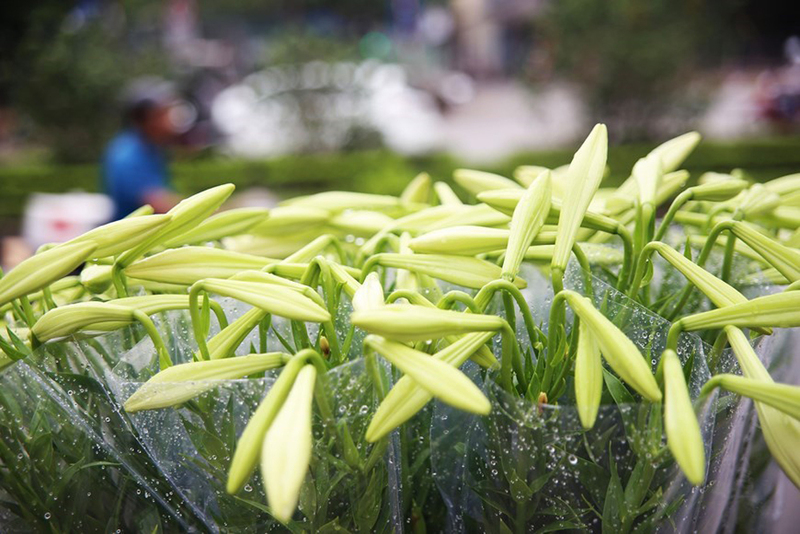 White lilies’ pure elegance stands for feminine beauty. 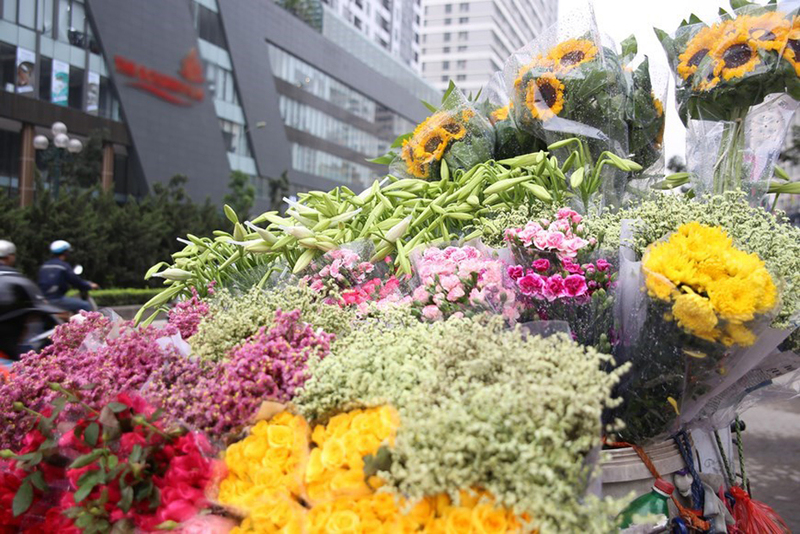 Various flower in the street vendor. 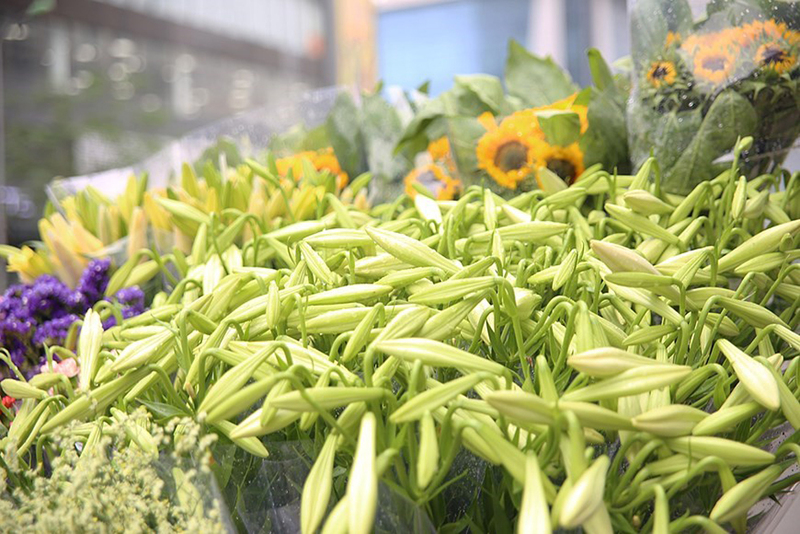 Lilies bloom together with many summer flowers.